We were up at Stowe today for our usual Sunday session, and since it’s the tail end of vacation week, many people were absent. Our group had just Ty, Jack, and Dylan, but we also had Mike Cannon as one of the group’s coaches, and with his immense knowledge of Spruce and Mansfield he brought us to plenty of great shots. 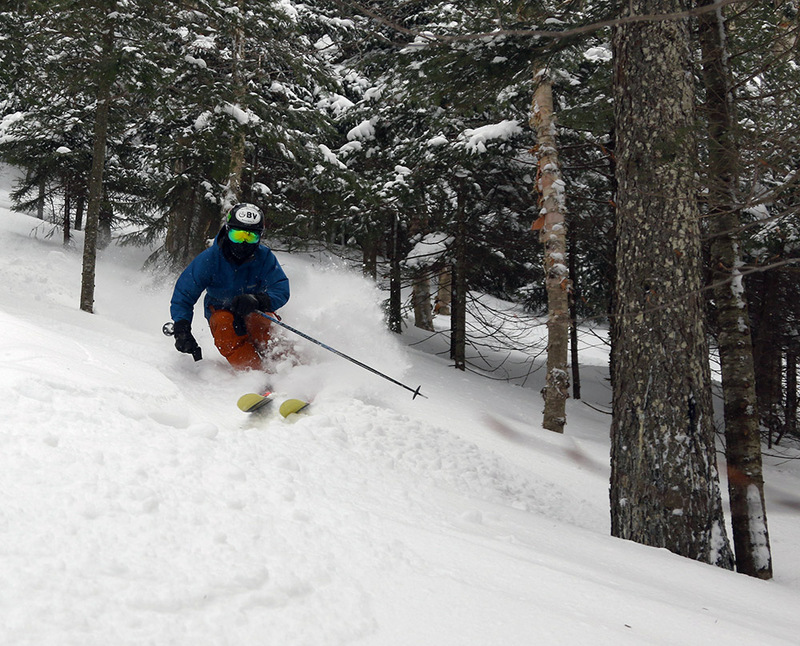 Not too surprisingly, we found conditions to be much like Bolton’s, with untouched areas typically yielding between 12 to 18 inches of powder thanks to our recent storm. We skied glade after glade with Mike, and the steepest and highest traffic areas are certainly down to the firm base leftover from those couple of warm days a bit over a week ago. 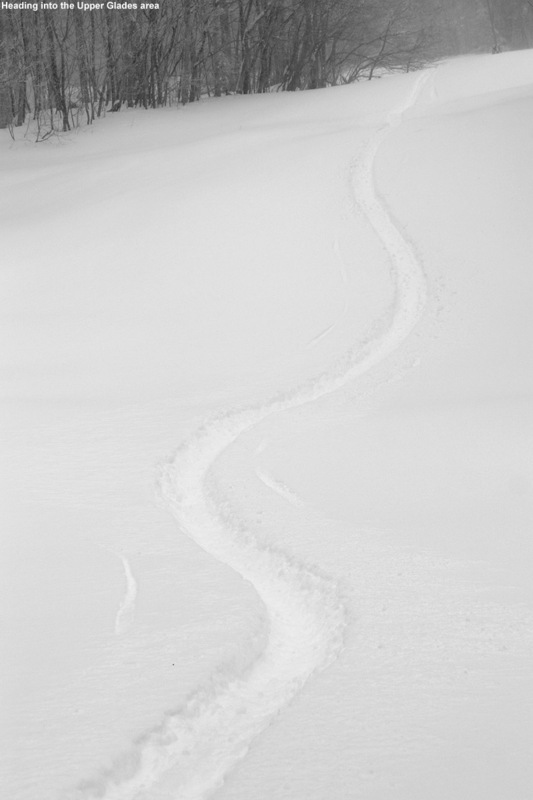 However, outside of those spots it was easy to find areas with either untracked or soft chowder. 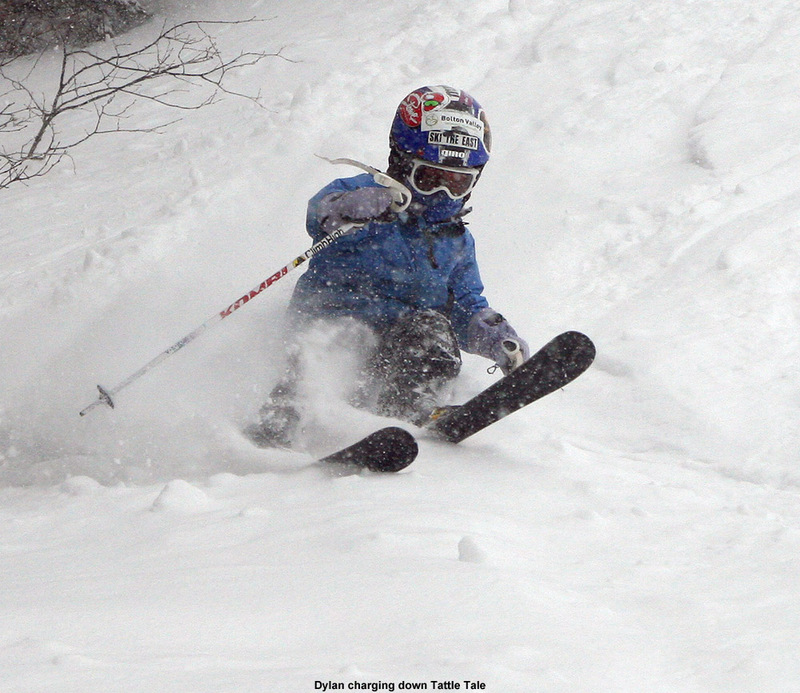 To read the full text and see all the pictures, check out the full Stowe report from today. 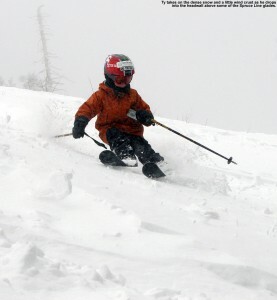 After earning turns and skiing with Stephen and Johannes in the early morning, I headed back to the house for a bit after that session, picked up E and the boys, and we caught up with Stephen and Johannes later in the morning to hit the powder for the rest of the day. We had some light snow and sunshowers in the later morning and early afternoon from yet another small weather system that was pushing through, and then more sunshine as the afternoon wore on. 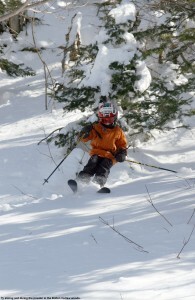 We got into plenty of that famous Vermont fluff, and all the boys seemed to have a good time. Click through to see all the picture and read the full report from today at Bolton. 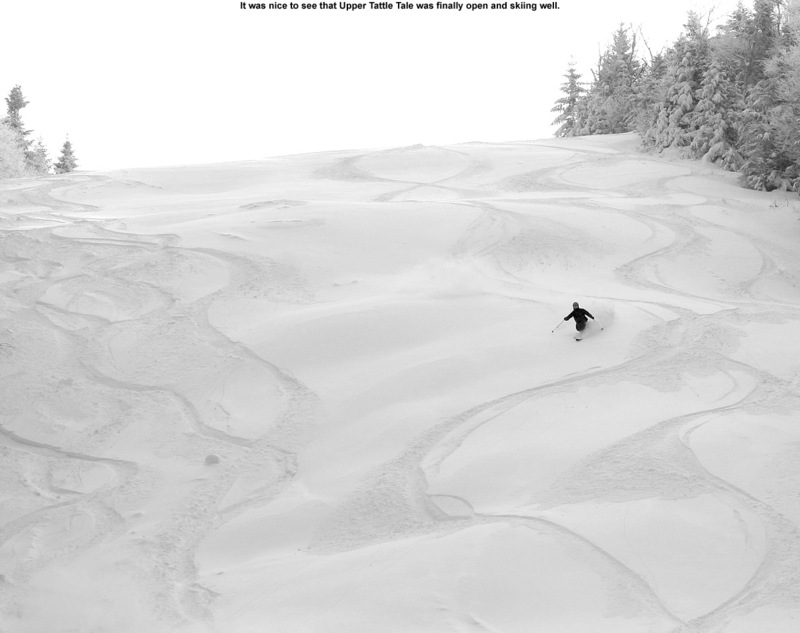 I headed up for an early, pre lift-service session at Bolton this morning with Stephen and Johannes. We ascended Twice as Nice and hit Spell Binder for first tracks. On the headwall the snow was a little tricky due to some mid-storm skier traffic yesterday, as well as the wind that had picked up in the evening. The skiing was still decent, even if not entirely bottomless on the headwall. 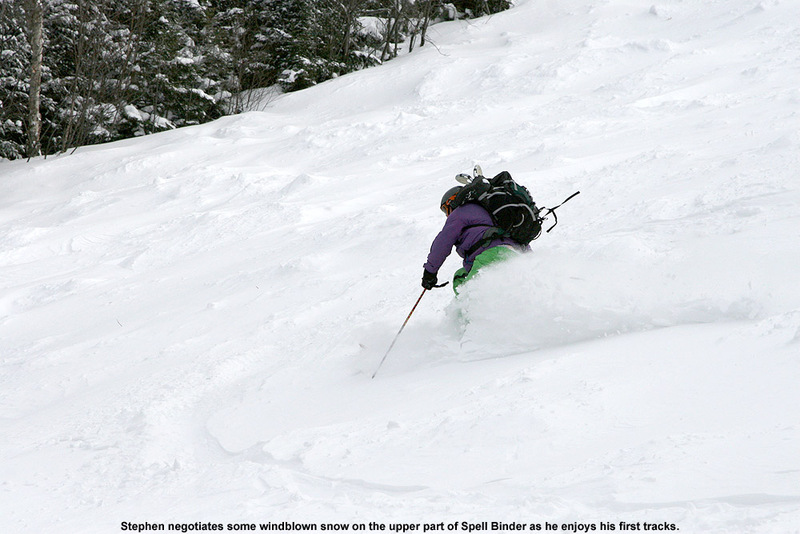 Once we were lower down and out of the wind, the snow quality took a big jump up and anything untracked was just what one would expect. 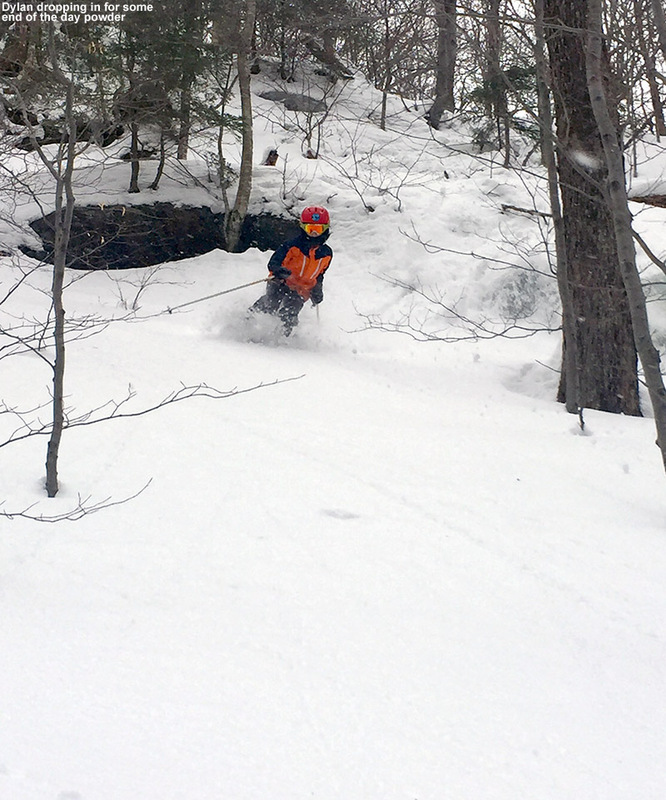 It wasn’t the lightest of the light in terms of Northern Vermont Champlain Powder™, but my analyses from yesterday indicated 5-6% H2O at our place down in the valley, and I’d say it easily skied like that as long as the wind hadn’t gotten to it. Click through to read the full report from today. It was back on Wednesday when our current winter storm started coming into focus, but at that point the snow totals were still somewhat in question. However, by the yesterday/today timeframe it was looking like the local mountains could see a good foot of snow, so prospects for getting some powder on the slopes were promising. It actually hadn’t even started snowing when I left the house this morning around 6:45 A.M., but by the time I left Burlington sometime after 11:00 A.M. they’d picked up about 4 inches, and here at the house I found 6.3 inches at noontime. 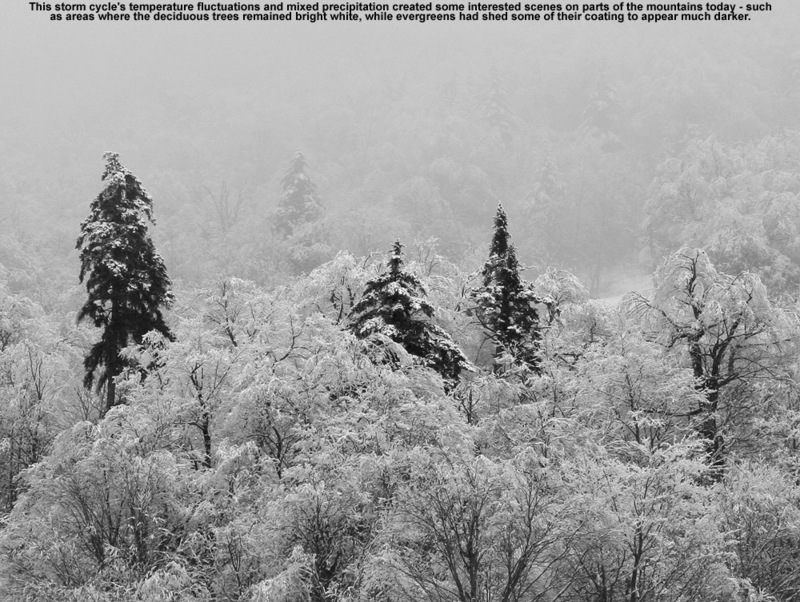 That meant that the snow was coming down at over an inch an hour in the valley, so up on the mountain they were likely getting blasted. E and the boys didn’t have school, so around 1:00 P.M. once we were sure that the powder was building, we headed up to Bolton to get in some storm day skiing. When we first arrived at Timberline, the snowfall was moderate and the flakes were fairly small, but flake size and snowfall intensity were picking up. We started off with some Spell Binder, and the boys were clearly enjoying the powder with the enthusiastic comments coming out of them such as Ty’ “Beautiful Beauty”, and Dylan’s “That’s Talking Powder”; they were certainly original if not extremely descriptive. 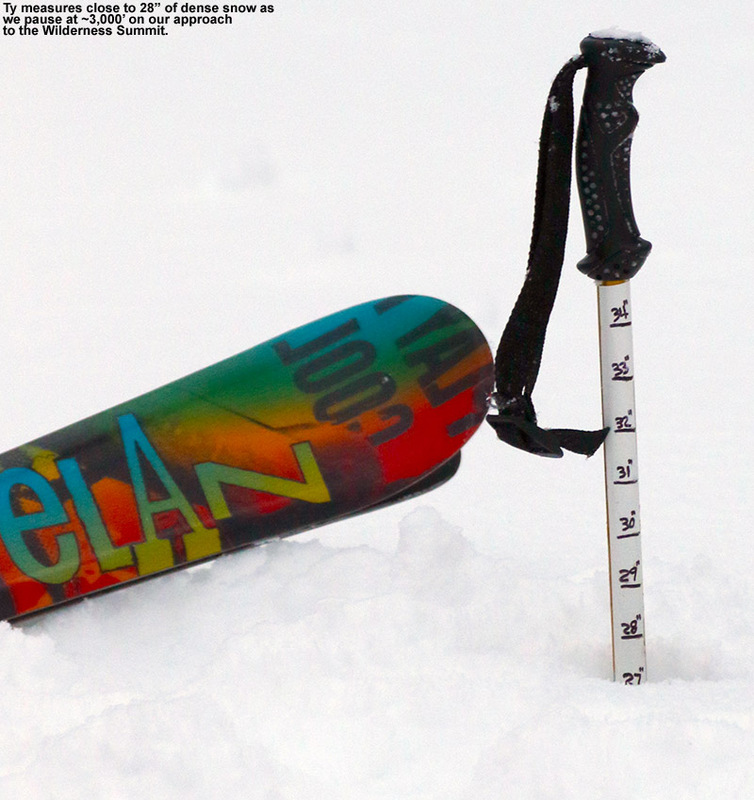 I did my first depth check on the new snow about halfway down Spell Binder, where the tally was 11 inches. 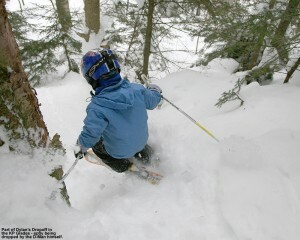 For more pictures and the full story, click through to the full report from today at Bolton Valley. Temperatures warmed up above freezing at all elevations in Northern Vermont at the end of last week, so we waited for the powder to build up over the long weekend before finally heading out this afternoon for turns. 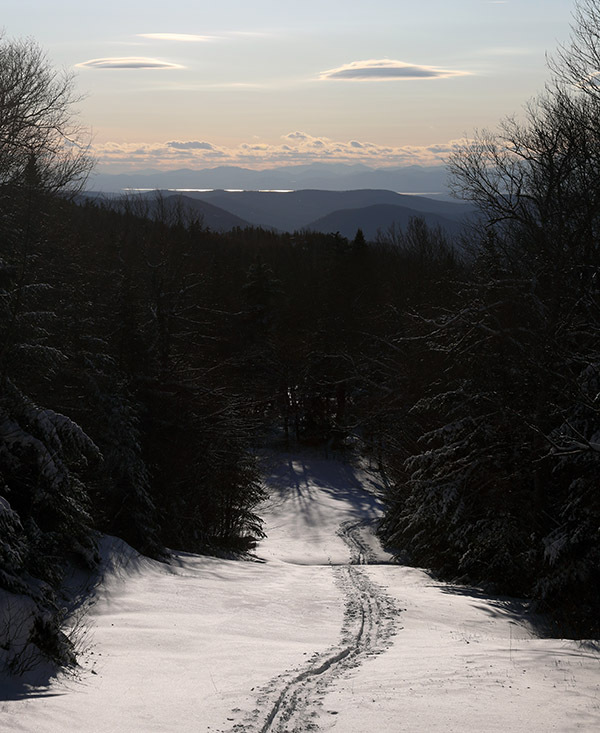 We had three small systems that dropped snow over the holiday weekend; down at the house we picked up 3.7 inches of snow in the form of 0.21 inches of liquid, and Bolton was reporting 5 inches of snow in the higher elevations. The new powder at the house had settled down to about 2 to 3 inches over the old base, so we knew there would be at least that much up on the mountain. 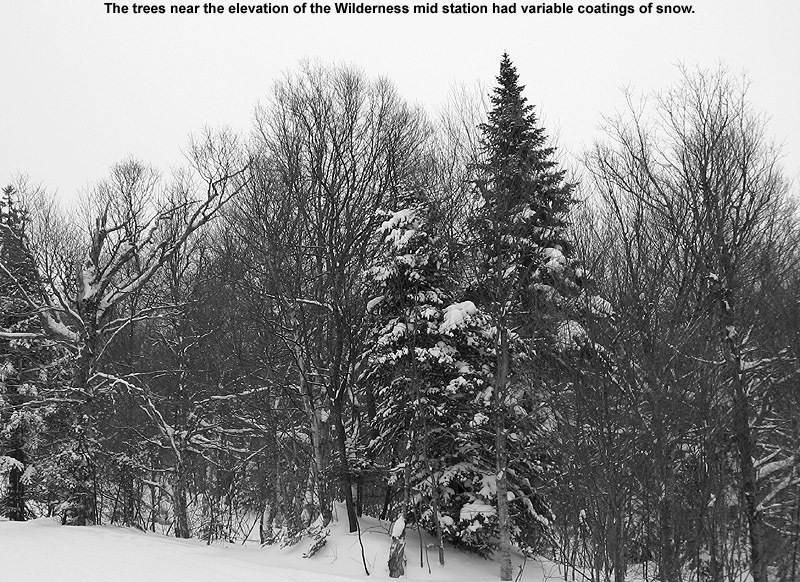 Temperatures wound up being colder than we thought, but the powder was nice – we found 3 to 4 inches of settled powder in the lower village portion of the network at around 2,000’, and up at the Bryant Cabin elevation (~2,700’) the depths of new snow were 4 to 5 inches. It turned out to be plenty of fluff for the low and moderate angle pitches, so many nice powder turns were had, and it was also the first time that the boys had skinned all the way up to the cabin. Dylan had some binding issues near the bottom of the run, so I had to help him through and he got quite a ride. 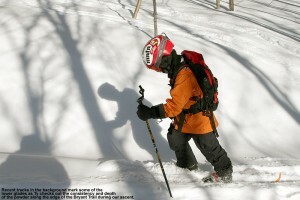 Read about the entire adventure in the full backcountry trip report from today. 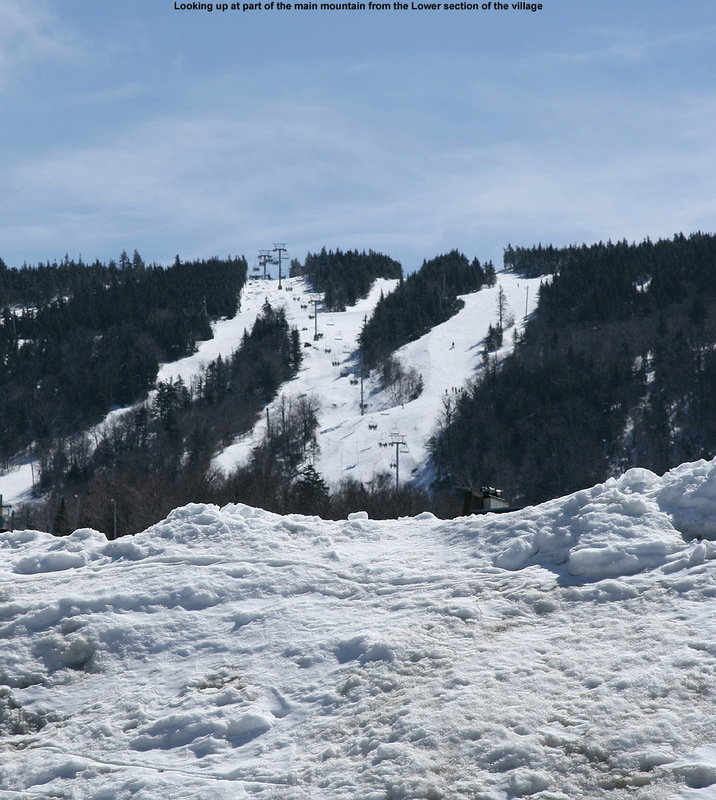 Today we were back at Stowe Mountain Resort for our weekly BJAMS ski program day. There was some light to moderate snow during the day for a short time, but nothing in terms of accumulation that established any powder on the trails. 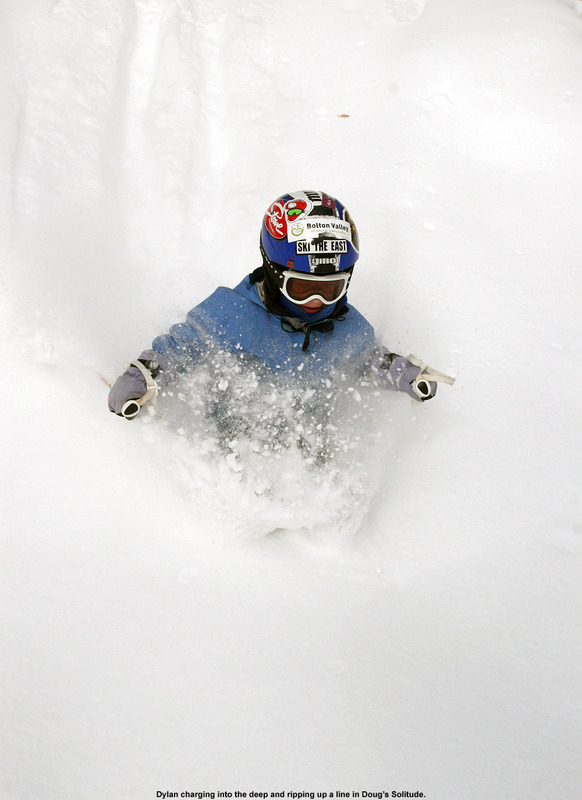 Conditions were still excellent, with packed powder on piste and powder off piste, and while the most popular off piste places had seen enough traffic that they featured packed or tracked snow, untracked powder was easy to find. 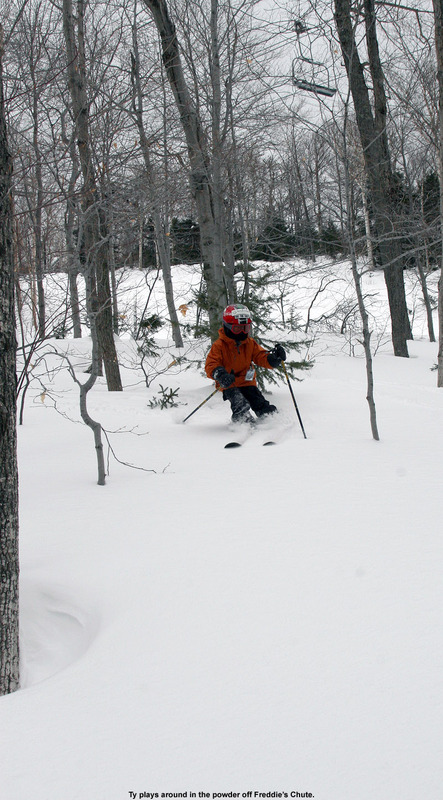 We played around in the trees on Spruce Peak and had a good time, even if the powder was a bit old. 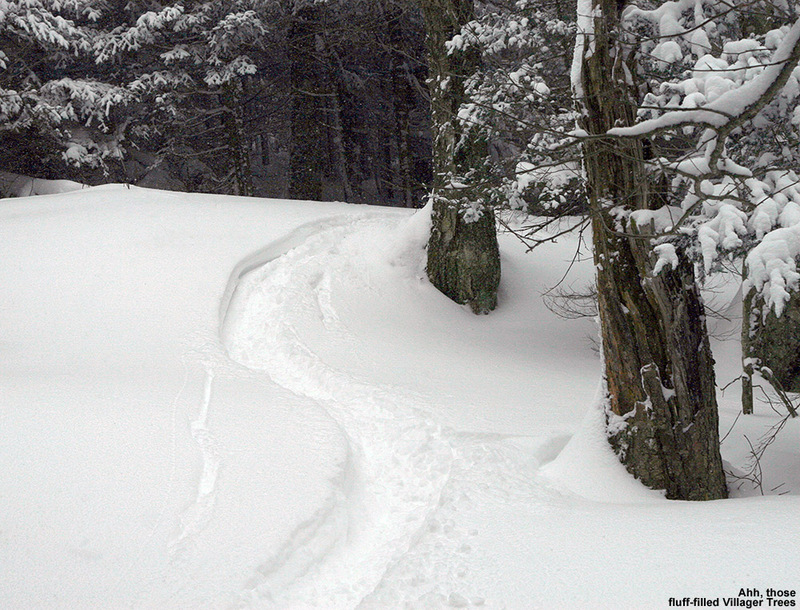 The snowpack is well past that stage where the off piste is sufficiently covered, and after finally getting in on a couple of synoptic storms, things are now at the stage where brush is becoming so buried that most hardwood areas between trails, even those that don’t receive trimming attention, have opened up enough for turns. We were finding that aside from zones with tight evergreens etc., you’d just poke your head in the trees and go. 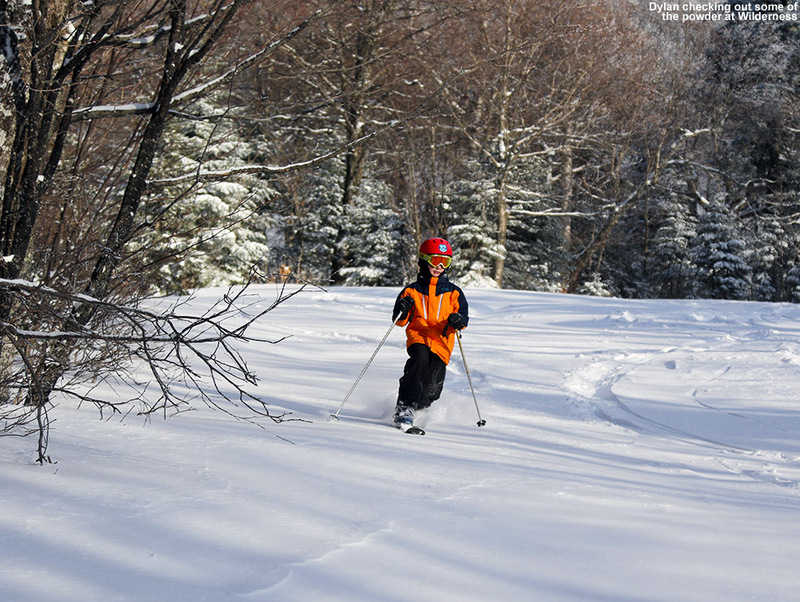 Click through to get to the full report from Stowe today. 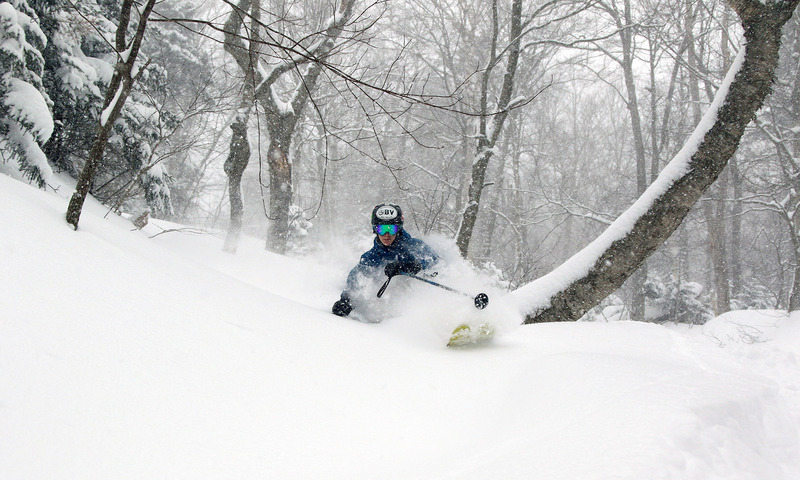 It hasn’t been an extremely snowy week, but we did have at least a modest storm in the Tuesday timeframe that dropped 3.6 inches of snow at the house and close to a foot of snow on Bolton Valley. Still, that was back on Tuesday, and things would be getting somewhat tracked up by the weekend, so our plan was to head up to Bolton’s backcountry network with the boys to get in some easy access powder. That idea changed quickly though, when we got a call from James, who was planning to head up to Bolton with Tom and Amy. We still found plenty of powder on terrain serviced by the lifts, and it even snowed and squalled at times to keep surfaces fresh, so a good time was had by all. 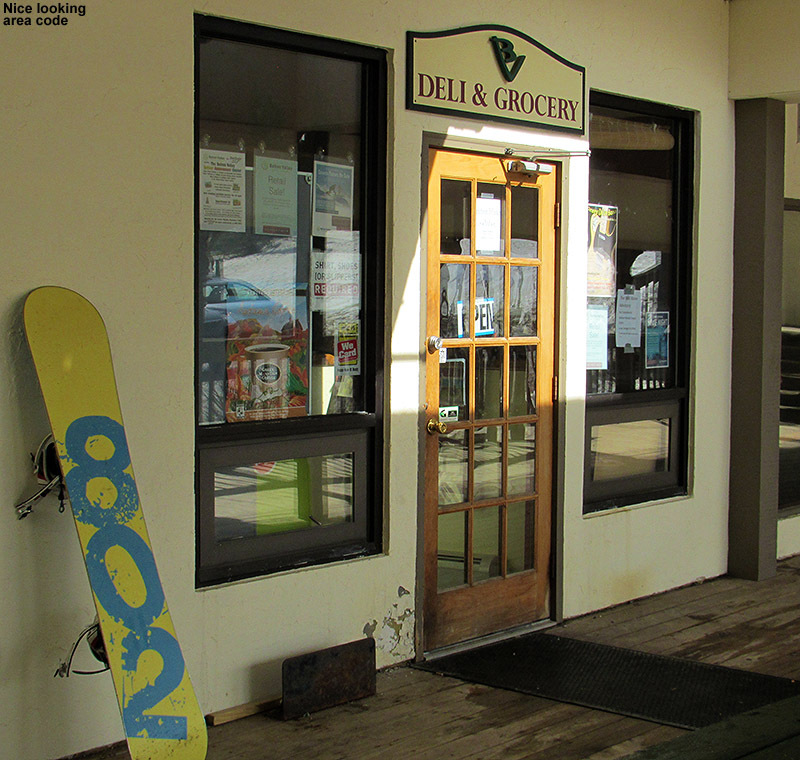 For all the details and pictures, click through to the full report from Bolton Valley today. We were at Stowe all day today and got to experience the skiing associated with last night’s thundersnow event. 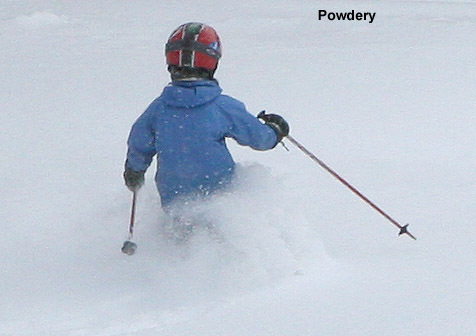 The snow was certainly dense, very much like Cascade Concrete/Sierra Cement etc., and one typically sunk down into the powder only a few inches when skiing it, but there didn’t appear to be any detrimental effects from whatever mixed precipitation fell. 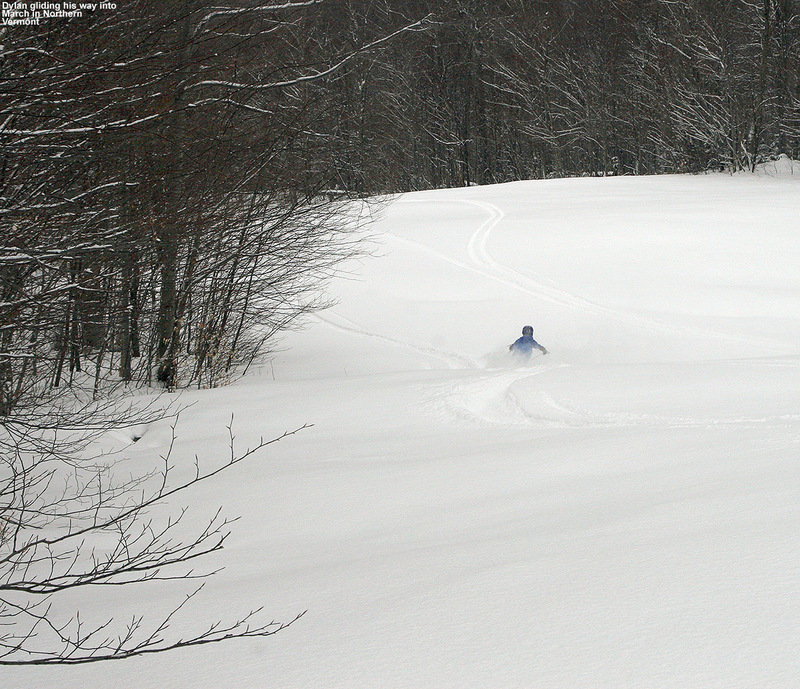 While not the top of the line snow for fluffy powder skiing, we picked up 7.6 inches of snow down at the house comprised of 0.99 inches of liquid, and the Bolton Valley through Jay Peak area picked up about a foot, so it was a good shot of moisture to add to the base. There was also a touch of wind crust in exposed areas, but in general the skiing was awesome and it was a nice day for some reasonably fat boards as Ty demonstrated. Thanks to the hearty snow, coverage on steep terrain was really nice, so the boys had several runs in the Green Acreas area. 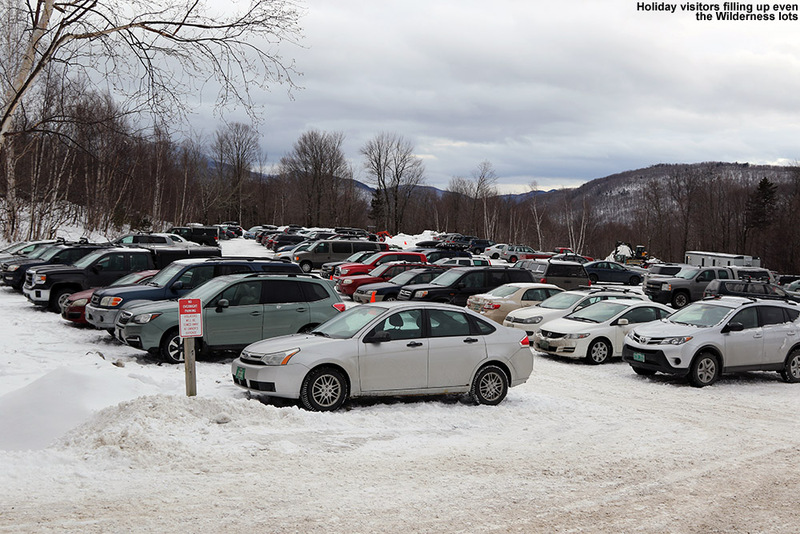 To read more about the day and see all the pictures, click through to the full report from today at Stowe. 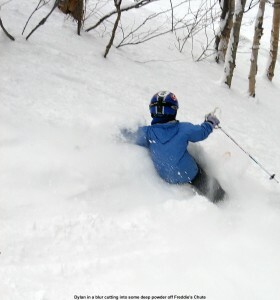 I got in some fantastic turns on Thursday at Bolton Valley after our first big synoptic snowstorm of the season dropped a couple feet of snow in the mountains, and today we followed it up with more powder skiing as we made the most of the storm’s bounty. We spent a good amount of time over at Wilderness, catching a fun run in the Bolton Outlaw area, and doing a couple runs to explore the powder in Snow Hole. In the evening we were in the Burlington area for a birthday party, and we were getting pounded with snow that was falling at rates up to 2 inches/hr as our second big synoptic storm of the season rolled in. Later in the evening when we were back at the house, we even got to witness some thunder snow with the event. To read all the details and check out the pictures from the day, click through to the full Bolton Valley trip report from February 5th, 2011. The recent round of powder had really fired up the skiing at Bolton Valley on steep trails like Upper Tattle Tale. While the ski conditions in Northern Vermont had been decent, and certainly consistent through January with some nice powder days, the snowpack depth still wasn’t all that great. 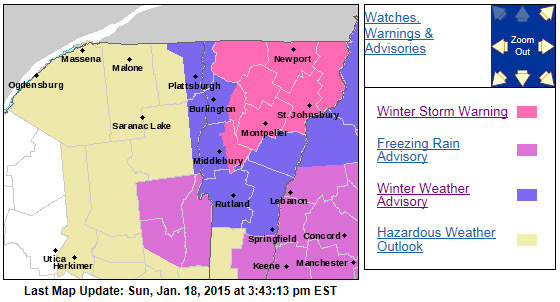 In fact, as February approached, the snowpack at the Mt. Mansfield Stake had been below average for a good portion of the season, and consistent with that trend, the snow depths and coverage on the trails seemed to be lagging behind as well. The potential snowpack increases associated with large synoptic storms and cold air in the La Niña weather pattern weren’t quite being realized in the far north. Snowfall numbers had been decent (as of January 31st we’d picked up 104.9 inches of snow at the house and were running at 113.7% of normal), but the liquid associated with a lot of that snow was paltry. 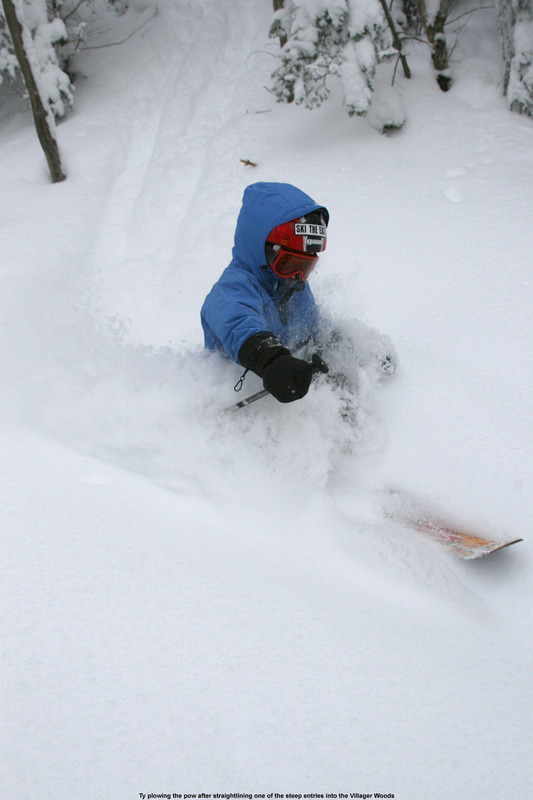 We were living off the upslope magic of the Greens, with mostly the fluffy Champlain Powder™ to survive on. 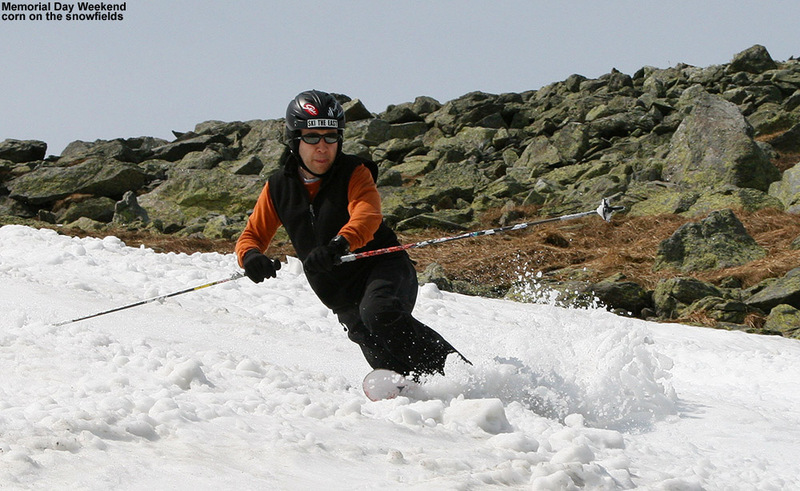 While it was loads of fun to ski, the fluff wasn’t preceded by dense snow, the snowpack depth was stagnating, and it just wasn’t possible to finish off the coverage on the steepest and most windswept areas at the local resorts. A real hit of moisture from a big synoptic storm was needed, yet systems of that caliber had simply continued to focus on Southern New England, leaving Northern New England on the fringe. 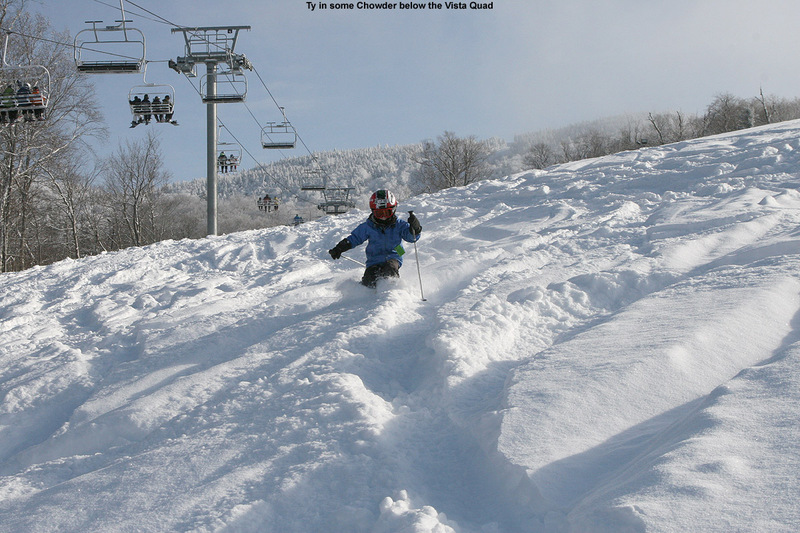 Finally though, it looked the weather pattern was going to shift… a big synoptic storm was crossing the country and seemed poised to really kick the Northern Vermont ski season into high gear with an inch or two of liquid equivalent in the form of snow. The colossal storm was setting up to hit us during the midweek period, and because it was affecting so many people across the country, it was getting plenty of national media coverage. The storm was coming through as a one-two punch, with an initial surge on Tuesday, and then a larger batch of moisture for yesterday into today. By Tuesday evening we’d picked up 2.5 inches of 6.0% H2O snow at the house from the first round of the storm, and we awaited the heavy stuff associated with the main course that was scheduled to come into the area on Wednesday. By 6:00 A.M. yesterday morning when I sent in my CoCoRaHS report, the second punch of snow was already coming down with some fervor. I’d found a couple new inches on the snowboard, and it continued to snow at close to an inch an hour. 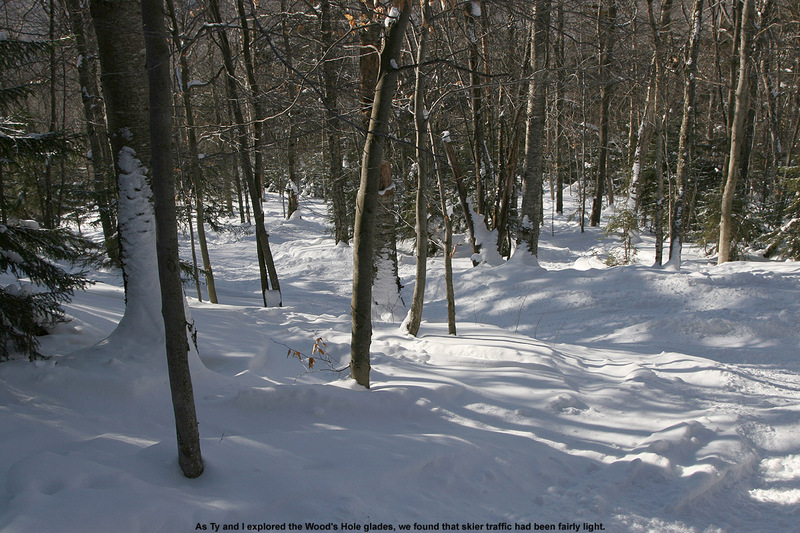 To see all the pictures and read the rest of the story, head to the full trip report from Bolton Valley today.